The Lacemaker by Laura Frantz has an expected publication date of January 2nd, 2018 by Revell Books and is a historical romance novel. Synopsis: When colonial Williamsburg explodes like a powder keg on the eve of the American Revolution, Lady Elisabeth “Liberty” Lawson is abandoned by her fiance and suspected of being a spy for the hated British. No one comes to her aid save the Patriot Noble Rynallt, a man with formidable enemies of his own. Liberty is left with a terrible choice. Will the Virginia belle turned lacemaker side with the radical revolutionaries, or stay true to her English roots? And at what cost? 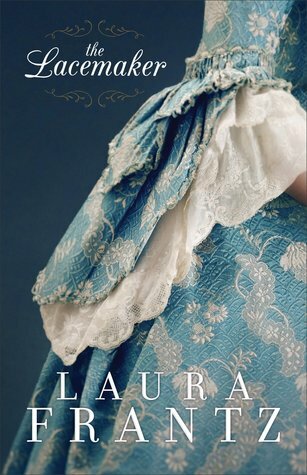 About the author: Laura Frantz is passionate about all things historical, particularly the 18th-century, and writes her manuscripts in longhand first. Her stories often incorporate Scottish themes that reflect her family heritage. She is a direct descendant of George Hume, Wedderburn Castle, Berwickshire, Scotland, who was exiled to the American colonies for his role in the Jacobite Rebellion of 1715, settled in Virginia, and is credited with teaching George Washington surveying in the years 1748-1750. Frantz lives and writes in a log cabin in the heart of Kentucky.According to Publishers Weekly, “Frantz has done her historical homework.” With her signature attention to historical detail and emotional depth, she is represented by Janet Kobobel Grant, Literary Agent & Founder, Books & Such Literary Agency of Santa Rosa, California.Readers can find Laura Frantz at www.laurafrantz.net.